Robert Smithson’s essay ‘Entropy And The New Monuments’ published in Artforum in 1966 lays the ground work for thinking through the monumental works made by artists involved with conceptualism – Judd, Morris, LeWitt, Flavin et al – and their use of materials that caused us to forget the future. Using science-fiction as an example Smithson outlines that the architecture described in this genre, has nothing to do with fiction nor science, but instead a new kind of monumentality. Artists employing plastics, chromes, and electric light, reduce time down to the very moment, by collapsing the historical assumptions of materials that were once used to build great monuments; sandstone Corinth columns; granite facades; vast marble flooring. Smithson’s assertion of a new monumentality actualized through the work of the conceptualists is also discussed through the elimination of time and decay in these materials. On the occasion of New New Monuments, Yellowknife-based artist Alexis Dirks, employs Smithson’s antithetical relationship to time and materiality in various ways throughout her exhibition. By pairing materials that counter each other – old and new; man-made and natural – it is evident that there is an alchemic fascination present in Dirks’ practice. Peta Rake: Do you see your work as dialectical past the materiality? Alexis Dirks: Through these material pairings I'm also trying to evoke some connections between the past and the present. There are many pasts to consider. There is a greater past that has more to do with geology and then another past that has more to do with human history. I guess I'm trying to find the connections or intersections of these pasts and think of them both as layers, in the way you would dig down in an excavation. There are connections within rocks and their various functions; as a geological marker of time, architectural material and as a sculptural material for building monuments. My interest is in how these functions overlap and how the material of rock can shift from one function to the next, from history into the present. PR: Can you tell me a little more about your exhibition title New New Monuments? AD: The title New New Monuments came after reading Robert Smithson's essay called ‘Entropy and the New Monuments’ from 1966. I was thinking about that timeline or trajectory in art history, where there were such distinctive shifts in materiality and what these Minimalist artists were trying to achieve through using 'new' or industrial materials. Thinking about this in relation to my experience of Yellowknife, [I] felt the impulse to make work that combined 'natural' materials of past monuments (granite/wood) with materials that are more processed or industrialized. I've never lived in a place [Yellowknife] where the natural landscape has been on the fringes of a small city, and there's a lot of overlap between the urban, suburban and the wild. Smithson talks a lot about the suburban experience and the banality of forms in suburban architecture as a way to almost imagine how the forces of entropy will inevitably take over suburbia's system of organized architecture. I guess I also find it a little bit funny when things are titled with the word ‘new’ in them, because it almost immediately dates it. It is interesting to look back on art history and see what was labeled as 'new' in ideas and art, because it was really forward thinking and things could feel like they were progressing on a timeline. I think there's nostalgia for that minimalism. That's why I used the double 'new' in my title, like real newness can't exist anymore, or it's sort of quaint to try and define what is truly new right now. The 'new' is constantly being updated and replaced with something 'newer' and I sort of like the futility of newness. PR: Does the remoteness of Yellowknife influence your practice deeper than the geological? AD: The remoteness of Yellowknife seems to influence my practice in a more practical way. I think [its] because I've only ever been 'dropped off' here by plane from other parts of the country, I don't fully grasp its remoteness because I haven't felt the distance from the ground. But in terms of art-making the remoteness of Yellowknife is evident in the resources, or, most often the case, lack thereof. Materials and tools for making art have to come from either the hardware store or from nature, there is no place to browse for traditional art supplies. I think that being so close to what we think of when we imagine 'the infinite North' has influenced my work in a lot of ways. I've really based a lot of my work around the geology of the north and the expanses of ancient bedrock, because to me it just has this presence of time attached to it, and because it's almost everywhere in the Northwest Territories, it's a constant reminder of geological time and process. Peta Rake is Acting Curator at Walter Phillips Gallery, The Banff Centre. She writes regularly for C Magazine and her texts have appeared in Canadian Art, Fillip, San Francisco Arts Quarterly, Rearviews, Institutions by Artists, On Apology and ElevenEleven Journal. 1. Smithson, Robert. 1966. “Entropy and the New Monuments,” Artforum. June. from Unpublished Writings in Robert Smithson: The Collected Writings. 1996. Ed, Jack Flam.University of California Press. Berkeley: California. 2nd Edition. This collaborative installation between Terrance Houle and Wendy Redstar speaks to the shift of the traditional ways of the First Nations Plains people from Buffalo grounds to oil fields, and from war pony to the parading of jalopy “Rez Cars” at world renown powwows. This compromise between the old and new rings true in the materials of Motor Oil Buffalo Dress and War Pony! War Pony! which will also include Blackfoot/Crow translations. Terrance Houle, born in Calgary, Alberta in 1975 is a registered member of the Blood Tribe. Involved with Aboriginal communities all his life, he has traveled to reservations throughout Canada and the United States to participating in Powwow dancing and other native ceremonies. Terrance began his art career at the Alberta College of Art & Design in 1995. After a 2-year hiatus, he returned to his studies in 2000. In 2003 he graduated with a BFA in Fibre. He has developed an extensive portfolio that ranges from painting and drawing to video/film, mixed media, performance and installation. His works have been shown in Calgary, Vancouver also Toronto and internationally in Brisbane, Australia and Warwickshire, England. Terrance has also had numerous screenings of his short video and film works in particular at Toronto’s 2004 Imagin- eNATIVE Film Festival winner of Best Experimental Film and 2004 ImagiNation Film Festival in Vancouver (2nd Prize Redwire Magazine Showcase), including the Calgary International Film Festival 2004. Terrance\'s work has been discussed in Alberta Views, New Tribe, Aboriginal Times and Artlink in Australia. 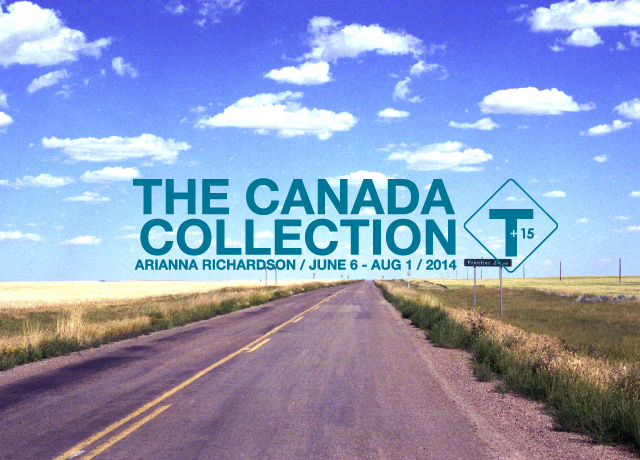 In the fall 2003 Terrance participated a Thematic Residency at the Banff Centre for the Arts in Alberta, Canada. The Residency focused on 34 indigenous people working on issues of colonization and communion. Artist came from New Zealand, Australia, Canada, Mexico and the United States. Wendy Red Star was born in Billings, Montana just outside of the Crow Indian reservation where she was raised. She grew up in a multi-cultural family. Her mother is of Irish decent, her father a full blood Crow Indian and her older sister is Korean. Wendy left the Crow Indian reservation when she was eighteen to attend Montana State University in Bozeman, Montana where she studied sculpture. She then went on to earning her MFA in sculpture at UCLA. Wendy currently lives in Portland, Oregon where she is an adjunct professor of art at Portland State University. Her work has been shown at Helen E. Copeland gallery, Bozeman, MT, The Fondation Cartier L’Art Contemporain, Paris, France, The CSULB gallery, Long Beach, CA, Research & Development, Chicago, IL, The Museum Tower at MOCA, Los Angeles, CA, And/Or gallery, Dallas, TX, The UCLA New Wight gallery, Los Angeles, CA, The L.A. Munici- pal Art gallery, Los Angeles, CA, The Domaine De Kerguehennc, Brittany, France, The Hudson D. Walker gallery, Provincetown, MA, The Plush Gallery, Dallas TX, The Laura Bartlett Gallery, London, England, The Luckman gallery, Los Angeles, CA, and The Volitant gallery, Austin, Texas. On September 30th artist Steven Cottingham will be using the entirety of his artist fee to purchase flowers (blue hyacinths) and have them delivered to employees of Suncor, Husky, and Exxon Mobile. I’ve committed sins that no god could forgive combines both installation with performance leaving the viewer with an unanswered question. Did the artist fulfill their promise? Enjoy the mystery. I find that I am knitting with language again. The end is absorbed in the process, becoming more and more elusive. Blanks spaces on the page chart gaps in my comprehension as lines run on. The constricted essay must hold together a number of details describing An Entwined Present by Chika Modum and Kyoon Nam. Pick up on one trail and you will be channelled down another – the circular logic of labyrinths, ending where you start. In the material investigations of Modum and Nam, two individual artists presented convergently for the first time, the way into the work is a matter of wading through – immersed in its particulars. The form of the coil and the braid offer a visual throughline, unifying the exhibition. Loose ganglia of copper wires cascade from Nam’s Eyeless Dragon, stripped of their insulation to expose the conductive centre. It is as though “the line has shed its skin.”2Ropy sinews pile up in a kind of physical drawing practiced by both artists in the exhibition. If muscles can memorize a gesture through repetition, the hands of these artists have become prolific mechanisms of production. One hand feeds what the other consumes... a string of actions. With his installation Red Break, Kyoon Nam introduces the notion of the electrical circuit into the space. Masses of red power cords writhe together, forming a tangled loop tethered to the wall. The coil grows tighter, concealing the appliances it supplies. A foot pedal protrudes, inviting viewers to exert their influence over the sculpture – setting off a lightning-fast chain of connections speeding towards an uncertain conclusion. It takes the will of another body to complete the exchange. Hyperbolic braids course through the gallery, legible as an extension of the body. Chika Modum casts a spell of giganticism over her subject as these forms appear to propel themselves of their own volition, penetrating through furniture in Vanity and crawling across walls as a kind of cursive handwriting in Ideal Beauty. Plaited garbage bags read as synthetic hair extensions writ large. But these appendages are only husks – a cosmetic prosthesis. The impersonal nature of the plastic yields to the rhythmic process of braiding, the warmth of hands suffusing them with a supple quality suggestive of the process of affixing braided hair extensions to the scalp – a ritualized task, by turns, both tender and severe. Jenna Swift is an emerging writer and curator, currently pursuing a double degree at the University of Calgary. Jenna’s interest in museology is greatly informed by her own studio practice, exploring themes of transience and ephemerality through site-specific installations and other collaborative projects. In 2014 Jenna was awarded the Canadian Art Foundation’s Writing Prize for her essay "The Dilated River," exploring the creative research of Watershed+ artist-in-residence Rachel Duckhouse. ﻿Chika Modum studied Fine and Applied Art at the University of Nigeria, graduating with a BFA in 2003 and an MFA degree in Sculpture from the University of Calgary, in 2012. In 2009 she was included in the ‘Younger than Jesus’ artists-directory published by the New Museum, New York. Her works have been exhibited at The Art Gallery of Alberta, Stride Gallery +15 space, The New Gallery and Harcourt House Arts Centre. She has participated in numerous international exhibitions which include the Dak’Art: Biennial of Contemporary African Art in 2012. She was recently included in the U.K Aesthetica Magazine’s Art Prize Anthology: “100 Contemporary Artists”, published in March 2013. Modum has been the recipient of Edmonton Arts Council’s Cultural Diversity in the Arts and The Queen Elizabeth II awards. Modum’s work draws from familiar processes and textures originating in her West African and North American spaces. Reapplying an array of mass produced objects such as industrial or domestic products - often banal and disregarded - Dong-Kyoon Nam deliberately transforms them into uncertain states of proliferation, repetition and pressure. His work offers a penetrating critique of mass production, consumer society, comfort and discomfort, and potential cracks and threats over controlled society. For Nam, the restoration of the mundane object in sensory perception and space is paramount. Adding and subtracting with minimal interven- tion, Nam questions the boundaries between presence and absence, perception and representation, physical reality and cyber space. These counter definitions are deeply rooted in the core of Buddhism and resonate in the well-known phrase from the Heart Sutra scripture, which inspires Nam, “Form is nothing other than emptiness; Emptiness is nothing other than form”. Nam emphasizes that ideas and experience are interconnected like ‘breathing in / breathing out.’ We breathe ‘in’ then we breathe ‘out’ – we ‘experience’ then we ‘think’ or vice-versa. The point being they do not happen simultaneously. One after another. La Chambre, (French for The Room), is the title of Jacinthe Lessard’s exhibit of sculptures and photographs at TRUCK. The title for this exhibition references the interior of a camera, the chamber where photographic images form themselves both conceptually and physically. In his seminal text on photography, The Camera Lucida, French theorist Roland Barthes refers to the photographer as a “mediator, who makes permanent the truth” (1). Working with this idea of permanence, Lessard captures the negative spaces of a series of cameras, creating physical casts of their interiors. Her intention in doing so is to transform the negative spaces that exist within these cameras into physical objects. To accomplish this, she pours liquid silicone into their interiors in order to create molds. Once hardened, she removes each mold and photographically documents the differences in shape and form that emerge from one camera to the next. With these works, Lessard’s intention is to create an homage to an important space that, she says, is shrinking over time due to developments in technology. She is interested in the changes in approach to image making that have resulted, because conceptually — and despite the physical presence of such technical components as semi-conductors, sensors, computer circuitry, and signal processing boards within digital cameras — the chamber within is still the space where a photographic image is initially formed. The formal aspects of these works are important to Lessard, as are their architectural characteristics. Indeed, her sculptures contain features that are strongly suggestive of architectural structures as diverse from each other as towers, ziggurats, and industrial buildings. As part of her process, she hopes that the viewer will wonder about where the sculptures have originated and question what they are meant to represent. As a result, the viewer is left to add his or her own visual references to these works. In La Chambre, she has chosen not to show most of the sculptures directly, instead, photographing them in order to suggest that their scale is ambiguous. Lessard shows only one of the casts in the exhibition — the interior of an 8” x 10” Bellow camera. She does this to remind the viewer that although the photographed sculptures are represented as two dimensional images on the walls of the gallery space, they also have a very real presence in the physical world as three dimensional objects. I feel a tinge uneasy when I go to José Luis Torres’ website (1) and see the word “Sculptor” under the banner that bears his name. I notice that there are 27 different projects under “Installations”, whereas clicking “Sculptures” leads only to one. In interviews, he makes it clear that his work is a hybrid between sculpture and architecture. Attentiveness to site, place, and landscape also permeate his oeuvre. Limiting the discussion to the kinds of works in Mutations, discarded wooden furniture and plastic appliances are precariously stacked, cantilevered, and tied off with skillfully knotted fragments of frayed rope. A make-shift base supports a jury-rigged arch of improbably assembled junk items. Paint-chipped surfaces rub together, further distressing their already worn patina. A string of teetering chairs is patched together by a bricolage of ingenious but barely sufficient engineering solutions. Poised at the brink of instability, these forms also evoke beings caught in a moment of graceful and dynamic motion. All of this encourages a playful meditation on the mysterious metaphysical process by which new “things” come into being, and what their relationship is to their constituent parts, especially when the chairs do not lose their “chairness”, the ladders their “ladderness”, or the palettes their “paletteness.” In their right to claim status as “things”, Torres’ constructions are clearly ahead of mere piles of stuff, but they have the potential to collapse back into that at any moment. In parallel fashion, this exhibition also implicitly raises the question of how much of Torres' other work (landscape interventions and architectural installations) can be grafted onto a term like “sculpture” before the category itself starts careening. My unease with Torres’ provisional label “sculptor” is nothing new. Already in 1979, Rosalind Krauss lamented, “categories like sculpture and painting have been kneaded and stretched and twisted in an extraordinary demonstration of elasticity, a display of the way a cultural term can be extended to include just about anything.”(3) This led her to posit four logical positions that “sculptors” could occupy in relation to a matrix of cultural terms, of which sculpture (defined negatively as not-architecture and not-landscape) was only one. Much of Torres’ work seems to find a home in categories like site-construction (architecture and landscape) or axiomatic structures (architecture and not-architecture). Unfortunately, Krauss’s “expanded field” still doesn’t translate well to institutional contexts. Torres was born in Argentina and has been living in Quebec since 2003. He sees his work as a reflection on displacement, on his condition as immigrant. I find myself wondering whether “immigrant”, like “sculptor”, is also a provisional category, essential for navigating political realities, but limited in accounting for the varieties of contemporary nomadic experience. The mutation or conceptual expansion of such categories is exactly what is on the table: the incongruous arrays of objects in his installations seem held together by the same stuff as the narrative thread with which language users cobble a chronology of discrete experiences into fixed identities. Like subject positions constituted by sometimes incommensurable worlds, Torres’ constructions dramatize the possibility of tenuous, provisional, and hard-earned fictions of stability among barely assimilable components. 1. José Luis Torres | Sculpteur / Sculptor. Accessed February 6, 2014, http://joseluistorres.ca. 2. The Color of your Socks: A Year With Pipilotti Rist, directed by Michael Hegglin (2009; San Francisco: Microcinema Int'l Inc.) DVD. 3. Rosalind Kraus, “Sculpture in the Expanded Field”. October. Vol 8. (Spring 1979): 30.